A suit in a normal parlance can be defined as a set of clothes that is designed to be worn together typically matching with a jacket and trousers or a skirt. The clothes used in making the suit are made with the same fabric. 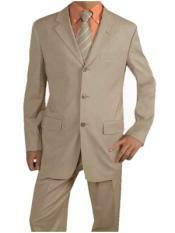 In case of Men's suit, the jacket is worn in combination with the matching trousers. 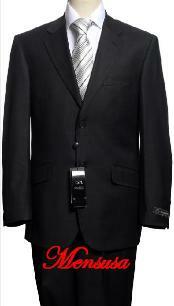 Thus, a Men's suit can be termed as a type of clothing that is tailored as per the needs of men with trousers. The history of Men's suit dates back to the middle of the 17th century when in the year 1650 in the United Kingdom, men began to change their dressing sense by ceasing to wear doublets and cloaks that were standard part of the wardrobe at that time. With the beginning of the Louis XIV reign men began to wear vests, coats and breeches that evolved later into a trend what is now currently known as "Men's Suit". Summer is the time to enjoy and spend time outdoor but the one thing that makes it difficult is the hot rays of the sun. Many times we might feel too uncomfortable to stand under the sun, sweating and feeling sticky with our clothing on. This is the reason why many choose to wear minimal clothing made out of summer friendly fabrics like soft full cotton and other sweat absorbing natural fibers. Though summer is the time to enjoy most outside, it is the time of the year that will need special kind of dress varieties. Most of the summer suits is made out of pure cotton, linen and fabric that are good to absorb sweat and keep the skin well aerated.